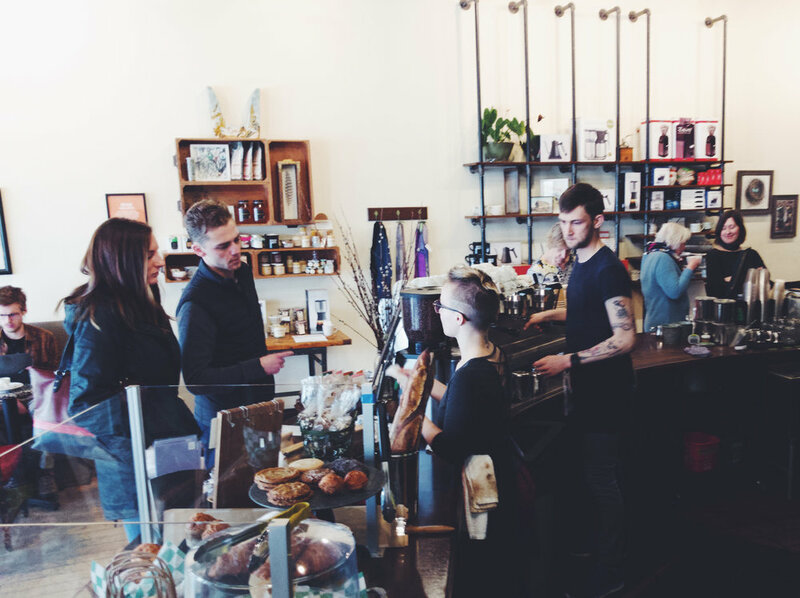 When we hire employees, we really don’t focus on previous experience in specialty coffee. Instead, we look for well-rounded individuals who are interested in being part of our community. And then we train them meticulously to prepare and serve the best coffee and traditional espresso beverages around. We believe that employees who have a passion for place, for taste, and for life will also be driven to create authentic and delicious experiences for our customers. 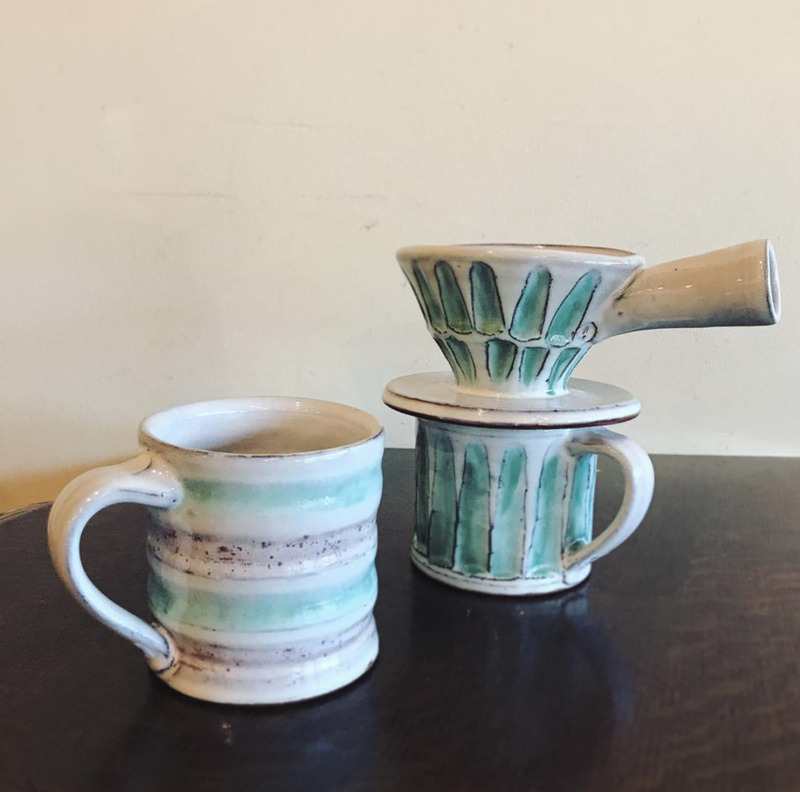 When you have a shop run by a barista and an artist, it’s natural to focus on independent and handmade products. 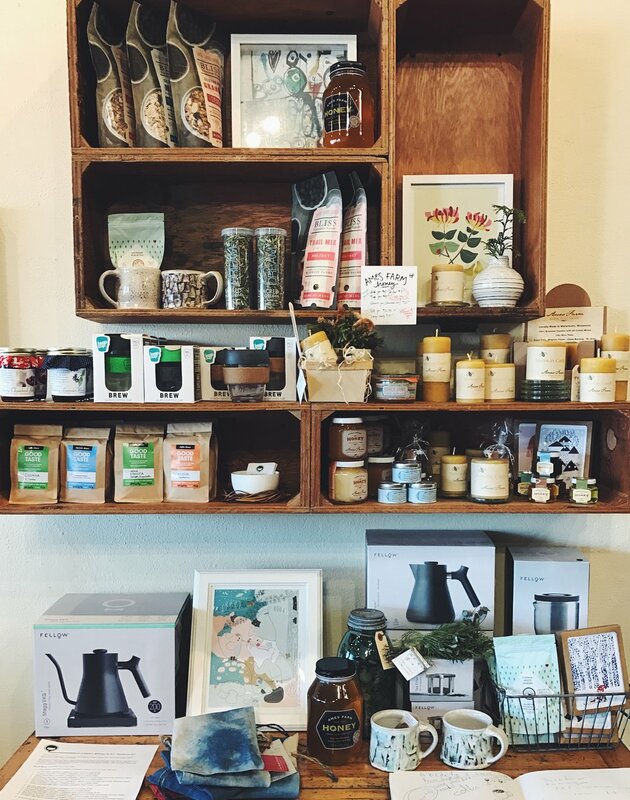 When selecting our retail offerings, we place an emphasis on craftsmanship, personal experience and integrity, and focus on highlighting work by makers with a connection to the Kopplin’s community. Joel Froehle and Juliane Shibata are two of our Minnesota makers. 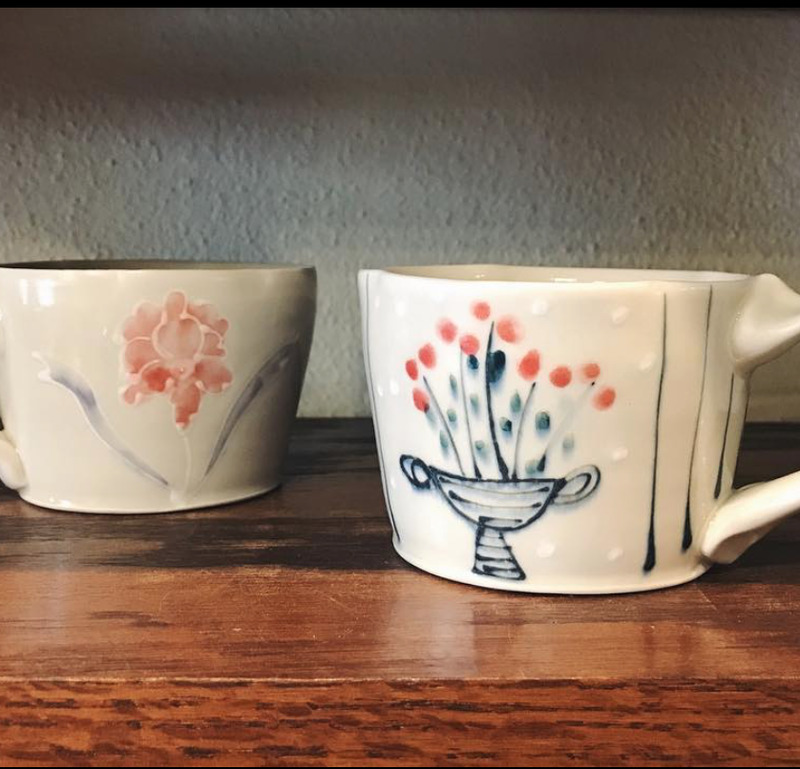 Both of these exceptional ceramic artists offer a range of functional mugs and cups in their unique styles to enhance your home experience. Joel’s work is tactile and textural, giving insight to the process of his pieces. Juliane’s work is delicate and illustrative, with intricate designs and patterns emphasizing the transient nature of the world around us. Bring something handmade into your world and enjoy every moment. We value the atmosphere art creates in our shop and our life. In addition to our many artistic retail offerings, we hang 6-8 rotating shows of two-dimensional art on our vast walls each year. 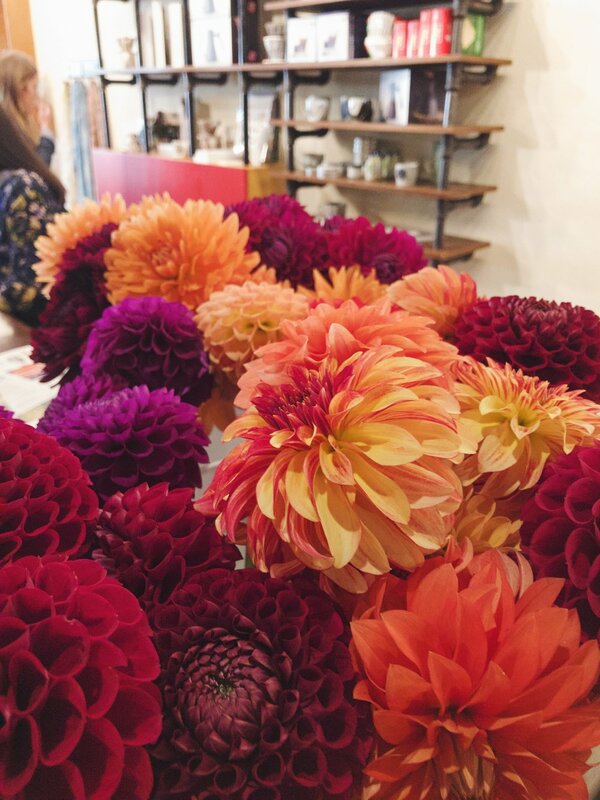 For each artist we hope to create opportunities for new connections with a reception, retail features, or trunk show during the course of their exhibit. We’re always on the look-out for artwork to introduce to the Kopplin’s community. If you would like to submit a show proposal for consideration, please view the guidelines on our Artist Submission page.